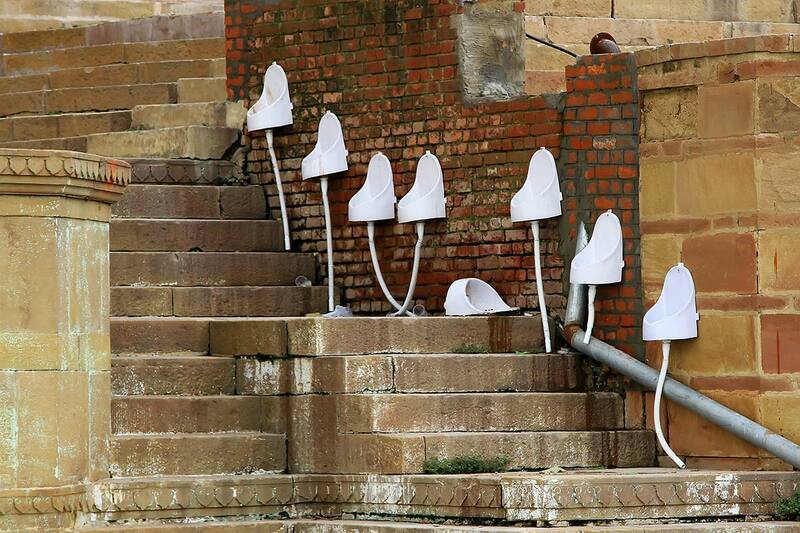 The Things You'll See Near The Ganges River In Varanasi, India. | Travel Photography Blog by Nisa Maier and Ulli Maier. 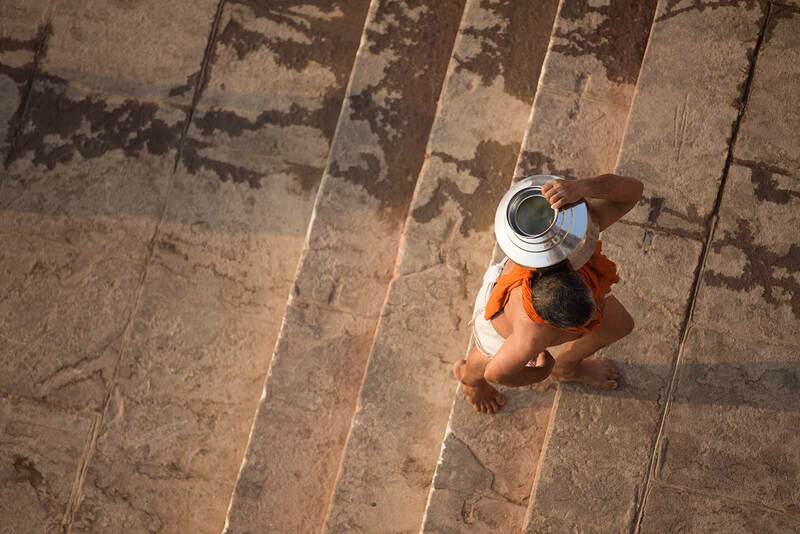 Varanasi (also knows as the “holy city of India”) is a fantastic place! The atmosphere of this city is one of a kind and there are so many reasons for that. For example it’s the city where Buddhism was founded and one of the oldest continuously inhabited cities in the world. 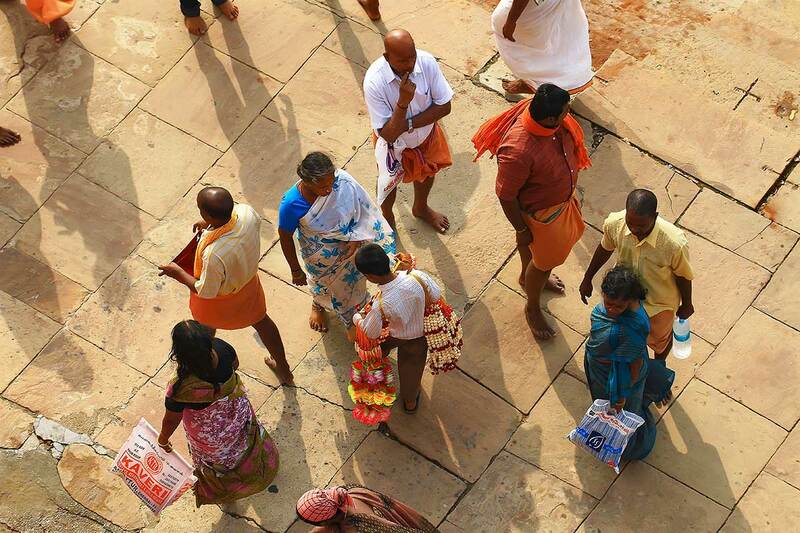 What fascinated us about it, was that there is simply so much to see (far too much for one visit); especially if you’re near the famous Ganges river. Most of the Varanasi ghats were built after 1700 AD. Many ghats are associated with legends or mythologies while many others are also privately owned. 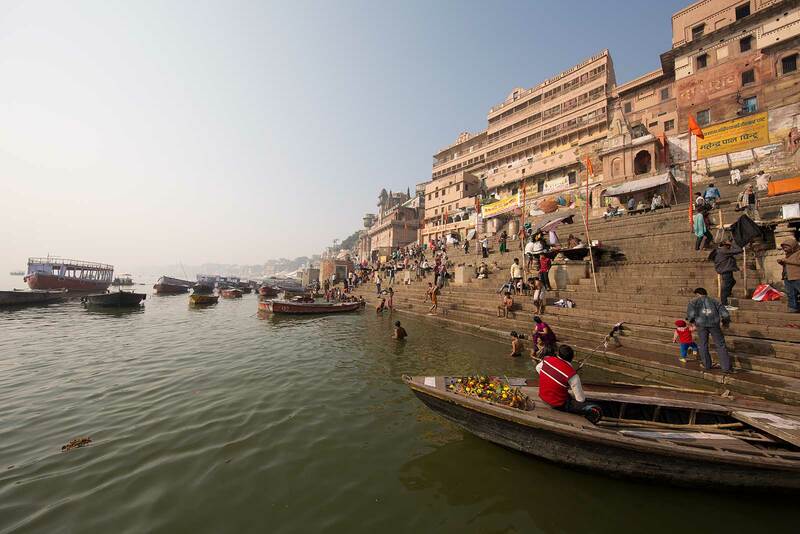 Morning boat ride on the Ganges across the ghats is a popular visitors attraction. 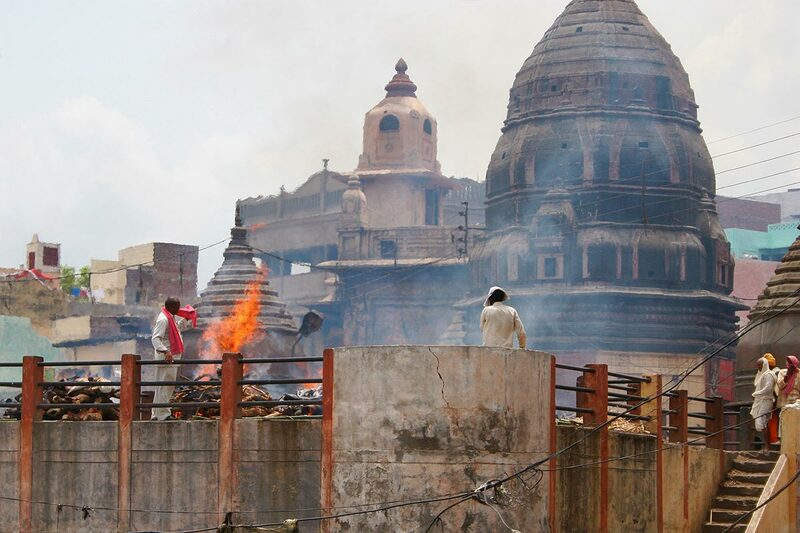 There are two main burning Ghats in Varanasi. Manikarnika Ghat can be seen here, which is also the largest one. The water of the Ganges is considered holy and people from all over Indi take some of the water with them once they travel home. 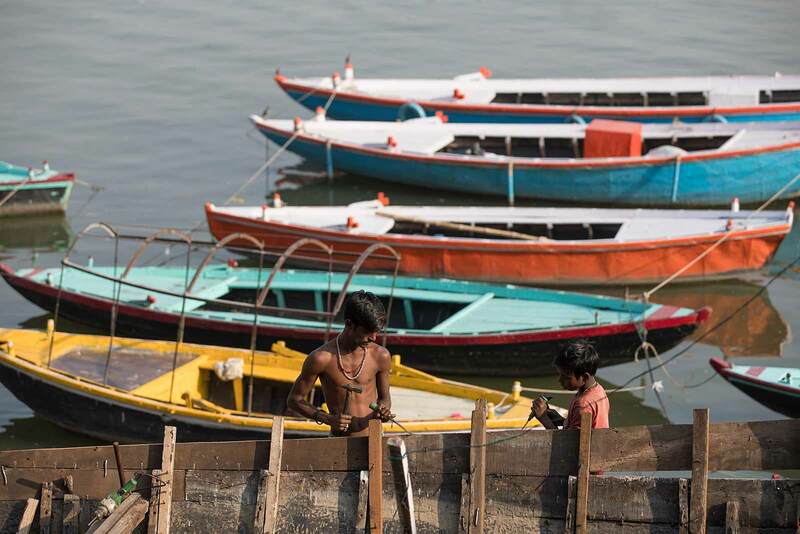 Boats are essential in Varanasi and are a great way of transport to explore the city. 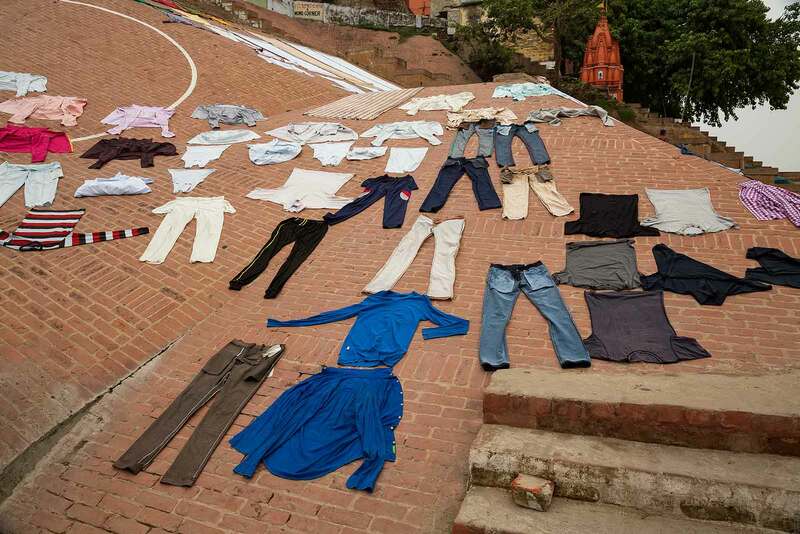 As they wash their clothes, human ashes are dumped into the water just meters away. 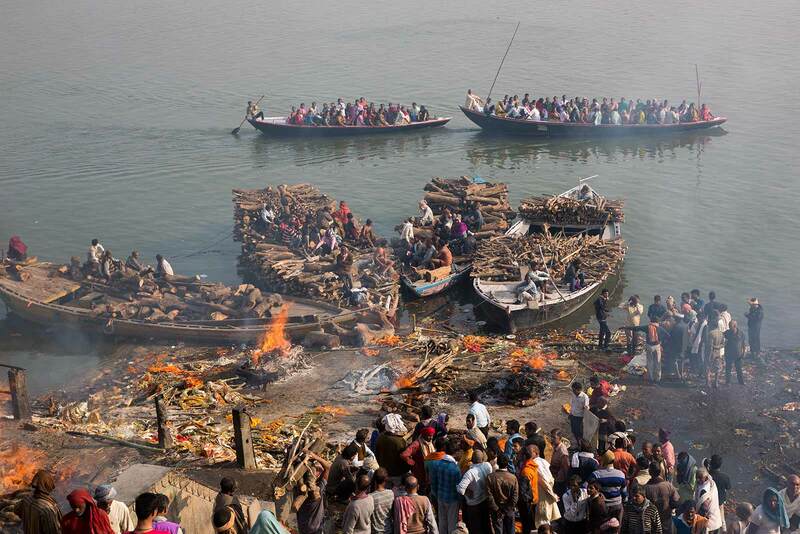 Today the Ganges river is among the world’s most polluted. 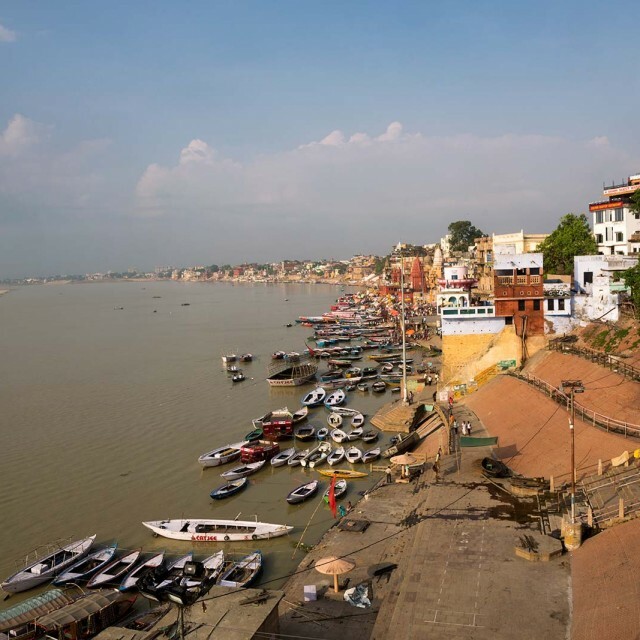 The city of Varanasi has nearly 100 ghats. Most of them are bathing and ceremony ghats, while a few are used exclusively as cremation sites, like the one you can see in the above image. Several places sacred to Hindus lie along the banks of the Ganges, including Gangotri, Haridwar, Allahabad and also Varanasi. Therefore people from across the country come to the city every day. Untreated sewage is a source of river pollution all across India. City municipal waste and untreated sewage is the largest source of pollution of Ganges river near the Ghats in Varanasi. 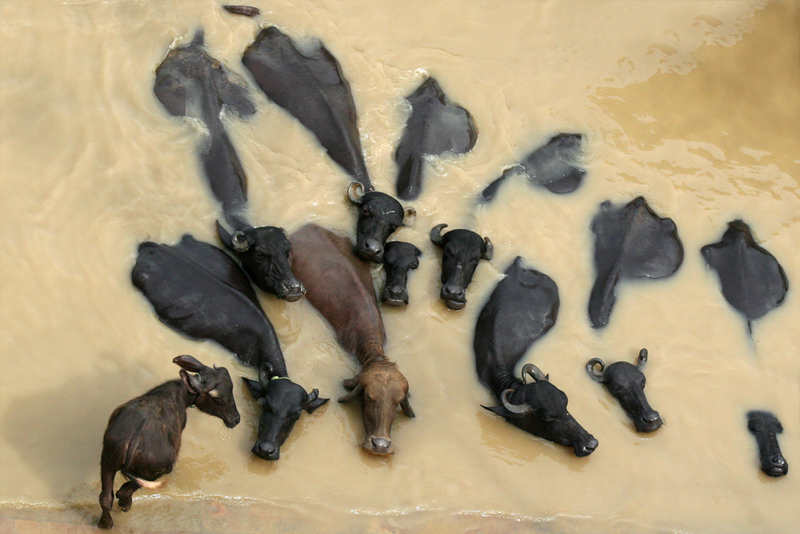 Buffaloes also take a dip in the holy Ganges. 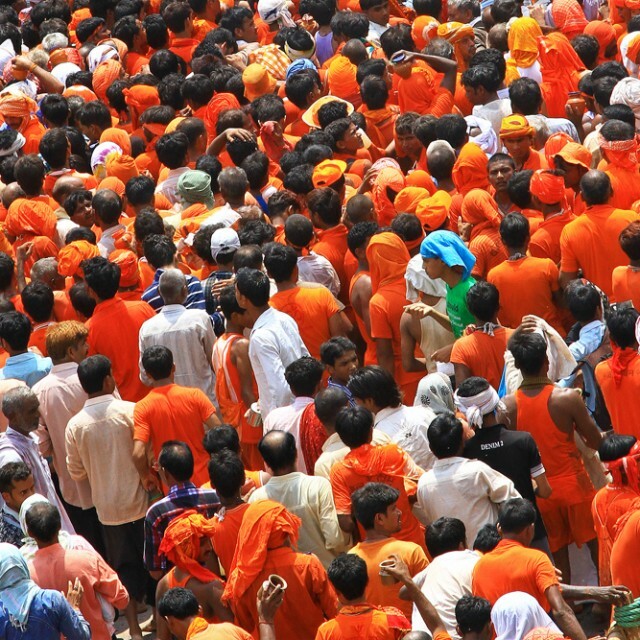 India seems to be a colorful place! I’d love to go there some day. I’m really fascinated by your photography and stories! Stunning pics full of life! One small correction, for an above picture you have written “Cows want to take a bath as well…” those are not Cow’s those are called Buffalo. By the way I am form India living in Bangalore. About Varanasi, it is one of the oldest living cities in the world and one of the most spiritual city in India. Mark Twain American Author and Novelist say’s “Benaras (Varanasi is also called as Benaras) is older than history, older than tradition, older even than legend and looks twice as old as all of them put together”. Hindus believe that one who is graced to die on the land of Varanasi would attain salvation and freedom from the cycle of birth and re-birth. That’s why you can see burning grounds near the Ganges. 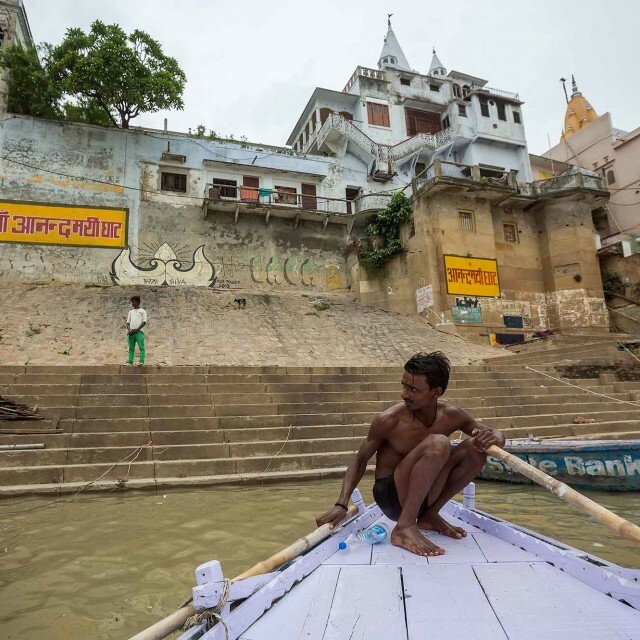 Varanasi truly is an amazing city & thanks for posting the Mark Twain part!